Footsteps. Wooden planks. A gun is cocked. You hear the sounds of an enemy pushing you in Fortnite: Battle Royale. What’s next? You need a close quarters weapon. An assault rifle? No. And you didn’t pick up an SMG. What now? Shotguns in Fortnite: Battle Royale are a controversial topic. For a long time, they were dominant in the meta. Some have since been nerfed or vaulted, but they are still viable in many situations. Which one should you use in the heat of the battle? Like all things in life, it often comes down to preference. But we’re here to offer you the stats and the numbers on what we think are the best shotguns in Fortnite. These are the best shotguns players can use in their Fortnite: Battle Royale matches. They’re available in any default playlist (Solo, Duos, Squads) and in most Limited Time Modes, unless noted otherwise. Old faithful. 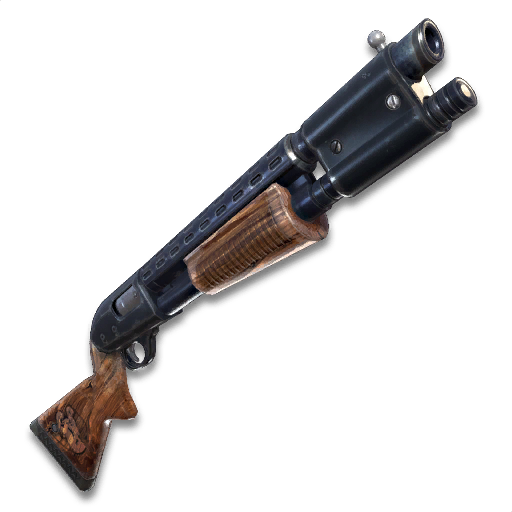 The Pump Shotgun is many player’s favorites, and could easily be ranked number one. 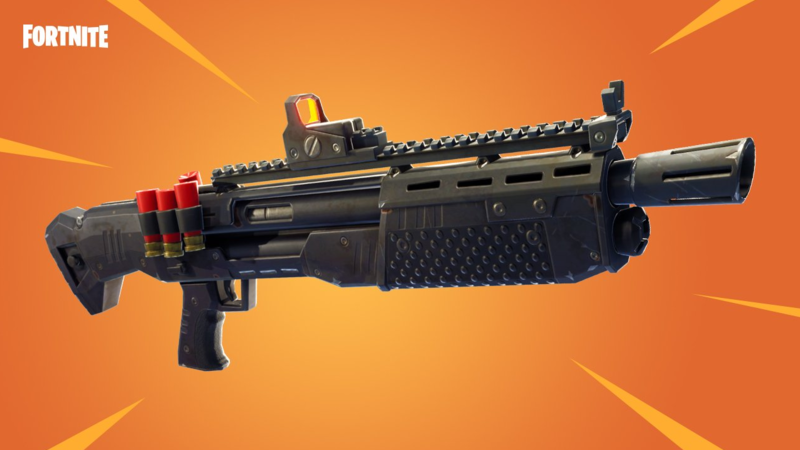 Its Common and Uncommon variants have been available in the game since its release, and Pump Shotguns became even stronger when their Epic and Legendary variants were added in the v6.31 update. Like all shotguns, if you hit your shots you will be just fine with the pump in most situations. If you’re accurate, you oftentimes won’t need more than one headshot to take anyone down. The fallen king. The Tactical Shotgun used to be dominant, but nerfs humbled it a long time ago. The Tac Shotty has the widest spread, meaning pellets will likely go all over the place. Its inconsistency is its biggest downfall. It does have the largest magazine size of all shotguns, but it would be useless without it. You will likely need to hit multiple shots on an enemy to take them down, and by then, you could be the one on your last legs. These are the shotguns we miss the most. 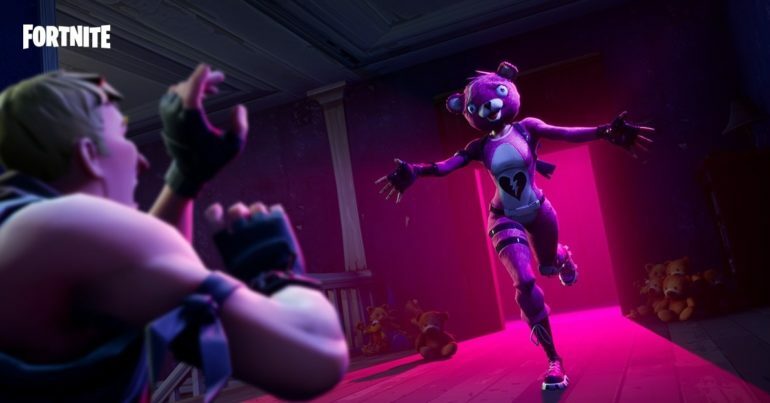 They have been vaulted in previous updates and have never been seen since. They are great guns that Epic might bring back anytime, though. Players may also find them in Playground matches in Battle Royale and can build islands with them in Creative. Damage: 73.5/77, Headshot damage: 185/192.5, Magazine size: 7, Reload time: 5.9s/5.6s. The Heavy Shotgun isn’t for everyone, but we think it’s king in the right hands. This shotty has a smaller reticle and less spread, which means that you need to be more accurate. When your shots do land, all of its pellets will hit in one concentrated area and deal massive damage. Its range is also wild, meaning you can hold your own against other weapons like SMGs. 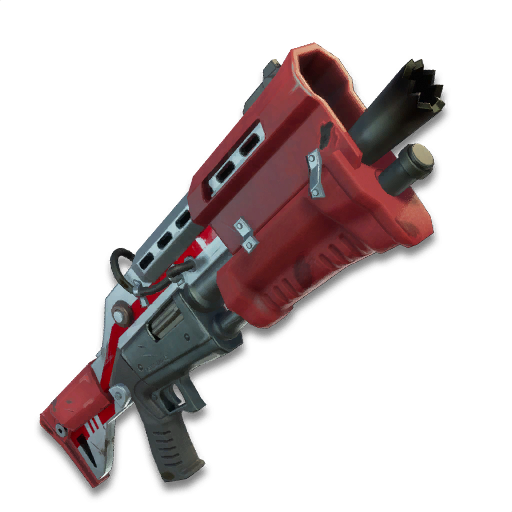 Heavy Shotguns were vaulted in the v7.30 update. The Fortniteshotty is an absolute beast. It does, far and away, the most amount of damage when it comes to shotguns, but there’s a catch—the range is very short, meaning you basically have to be breathing on someone to deal the damage you need. Plus, it only has two shots, and when its out you have to deal with a long reload animation. The Double Barrel is great, but its drawbacks prevent it from being the greatest. It is incredibly powerful up close, and it also does massive damage to structures, but you can easily be out-ranged with any number of weapons. The Double Barrel was vaulted in the beginning of season seven with the release of the v7.00 update. 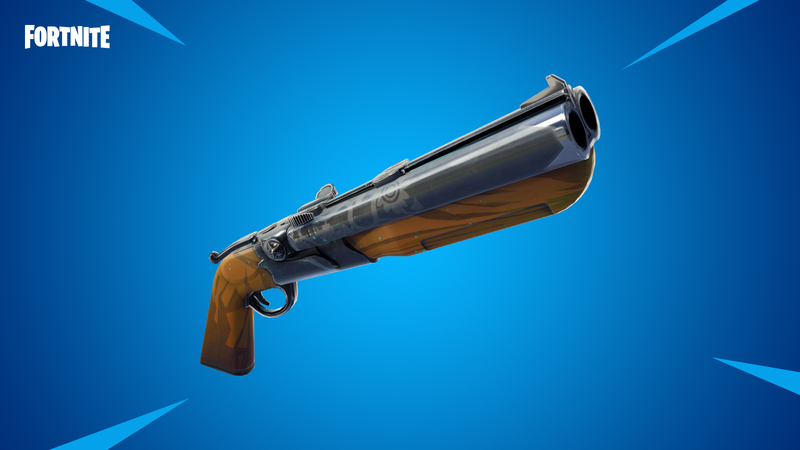 This article was updated on March 6, 2019 to include current weapon statistics and update information about vaulted shotguns.